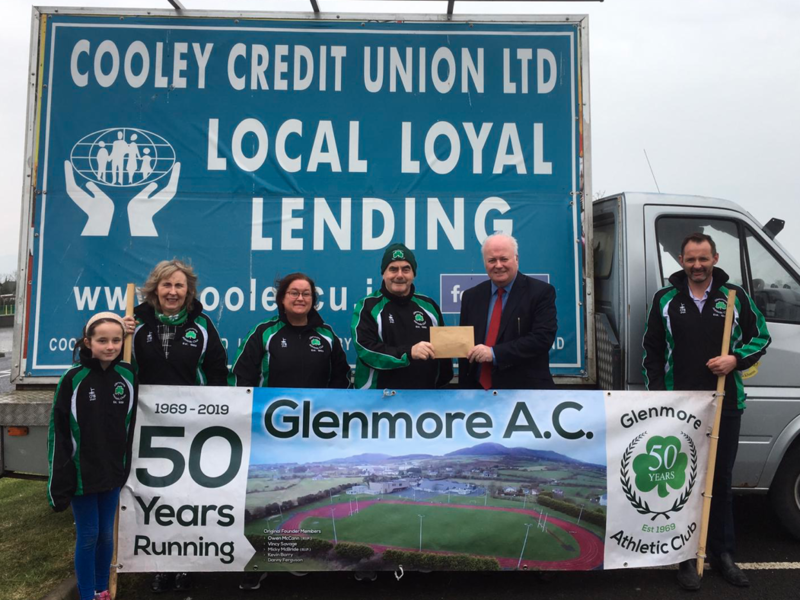 Glenmore A.C. are hosting the Cooley Credit Union Races on Thursday 2nd May 2019 at Glenmore track, Bush Post Primary School starting at 6.30pm sharp, with a full line up of events from preschool right through to 6th class. The events are, Sprints 1st-6th class, 600m 4/5/6th class, Long Jump 5th & 6th class, Turbo 1/2/3rd class, Relays girls team and boys team (each school to select 4 students and 2 subs). This important event for primary schools in the Cooley Peninsula is generously sponsored by Cooley Credit Union. Glenmore A.C. Chairperson Rose White encourages all primary school children to participate saying “we wish all primary schools the very best of luck on the night and most of all we would like to place the emphasis on the taking part. We are grateful to Cooley Credit Union for sponsoring this very important athletics event for local children”.